Items not collected/received by 22 April 2019 will be forfeited and no refund will be given. Your product is NOT available for immediate collection! Please allow 3 working days after purchase for the collection of items. You will need to come by the Qgrabs.com office during our working hours of Sun – Thu: 9 am – 5 pm & Sat: 10 am – 2 pm. This is a ‘Kitchen Items GrabBag’, so you won’t be able to choose the exact product or color. You may only choose the option. Quantities limited to stock on hand. No limit per order, but if you order more than one you may receive duplicate items. Although we will try our best to give you different selections if available. 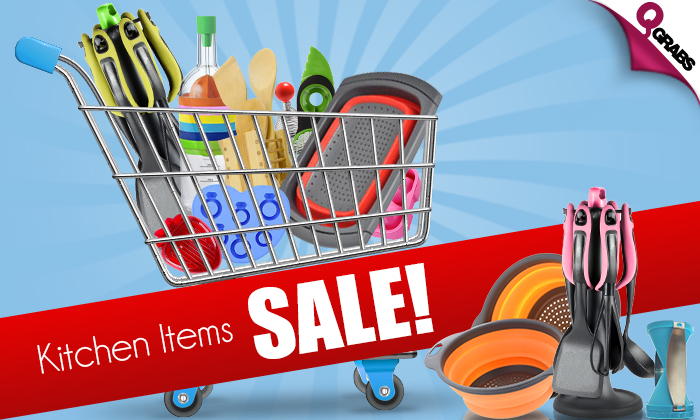 Kitchen chores made easier with up to 86% off!